This entry was posted in routemaster. Bookmark the permalink. Wow a double decker bus, and a red one at that! The last time I've seen and ridden on a bus like this was when I was a kid. …..and anyway….you were obviously interested enough to take extra pictures, so I'm not the only one impressed by our glorious transport heritage! Has Christmas come early for blogsters:Welcome to the Routemaster Association Website The Routemaster Association was formed in 1988 with the aim to: Share knowledge and operating experience Provide technical information Provide help with obtaining spare parts Provide Routemaster related news Cater for the historical and preservation interest Membership is open to operators and owners of Routemaster type vehicles, to suppliers of parts or services and to anyone else who has a genuine interest in the operation or preservation of these vehicles. The Association publishes a magazine 4 times a year which is full of informative articles, technical advice, Association & general news, together with spares and supplier news. Members can also obtain a full range of regalia, parts and accessories by mail order. 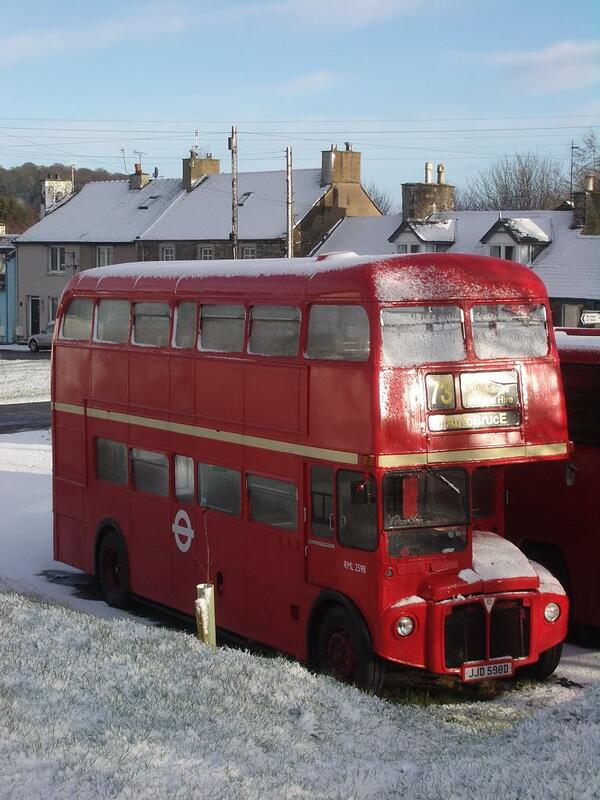 Can u get a Routemaster in a Christmas stocking? Haha it was anonymous Dave, I have a few anonimi at the moment and I'm never quite sure who's who. I liked the contast of the red against the white Dave, and I do still after 2 years of it find it most amusing to see a big red London bus sat sitting in the middle of Rhonehouse.